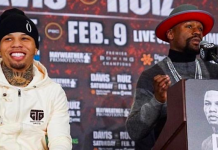 The story of Floyd Mayweather and Tenshin Nasukawa’s New Years Eve showdown has been a strange one. 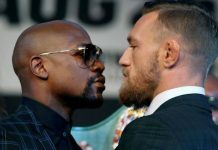 The contest was first announced earlier this month, but the excitement was promptly stomped out by Floyd Mayweather, who claimed he’d been ‘blindsided’ by the bout’s promoter, Rizin Fighting Federation. 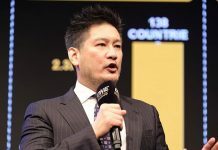 Then, in a surprising twist, Mayweather announced that the bout will in fact happen, but that it will be a boxing exhibition — meaning the undefeated kickboxing wunderkind Tenshin Nasukawa will not be able to use his most dangerous weapons. Whatever the case, Nasukawa seems to be brimming with confidence heading into this mysterious New Years Eve blockbuster with the undefeated boxing legend. 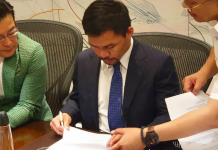 Speaking on his official Instagram account early on Thursday morning, the Japanese superstar sent the boxer a warning, assuring that his speed will be too much to handle. 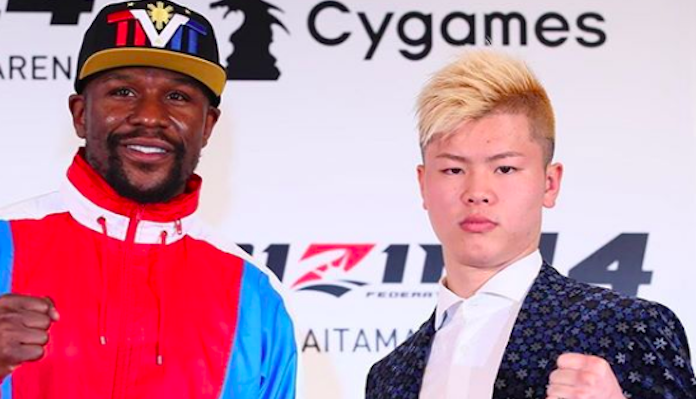 In Tenshin Nasukawa, Floyd Mayweather will face one of the most impressive strikers in modern combat sports. The 20-year-old Japanese sensation is a flawless 27-0 as a professional kickboxer, with 21 of his victories coming by way of knockout. 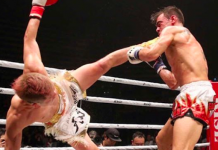 Highlights of his resume include defeats of Amnat Ruenroeng, Yamato Fujita, Yusaku Nakamura, Rodtang Jitmuangnon, Kyoji Horiguchi, and most recently, Taiki Naito, who he mauled to a stoppage at RISE 129. What do you make of this Rizin 14 exhibition match?